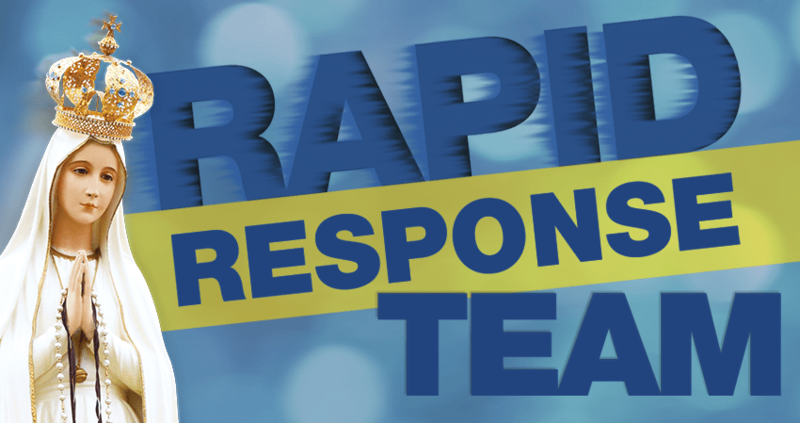 The Rapid Response Team Is in the Fight! 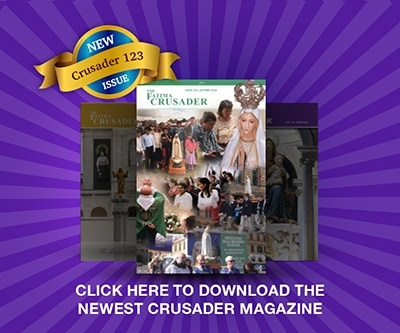 The truth is being assaulted on all sides – even within the Church! Our Lady’s Apostolate has formed a special unit, ready to be dispatched wherever and whenever terrible and sacrilegious insults are hurled against Our Lord, Our Lady and our Holy Faith. These committed warriors have taken the fight to the enemy on several fronts already and are prepared to travel anywhere and to do what needs to be done to uphold the truth! The Rapid Response Team is ready to go wherever it must. But it needs your prayers. It needs your support. These trips must be organized quickly. Materials must be written and printed post-haste. A plan must be formed and executed. But if you provide prayer support and financial assistance, the team will do the rest! Support the troops on the front line! They are fighting for Our Lord, Our Lady, our Holy Catholic Faith, for you and all Catholics! Keeping Our Lady’s websites online and updated costs many thousands of dollars each month. We rely totally on the prayers and freewill offerings. Won’t you please help us send Our Lady’s Fatima Message to millions of souls through the power of the Internet? Please DONATE to help keep Our Lady online.